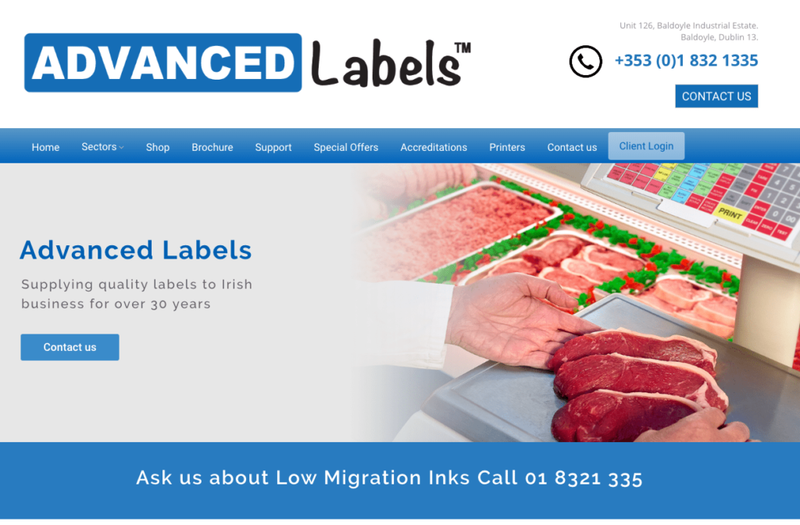 We recently launched the brand new website for Advanced Labels, a Dublin-based label printing company who have been producing personalised self adhesive labels and supplying their range to customers throughout Ireland and the UK. 2Cubed worked closely with Liam at Advanced Labels to launch the new redesign of the Advanced Labels website, helping better promote their services and sell and supply their extensive range of customisable labels online. The new Advanced Labels site also includes a Client Login area to allow existing wholesale customers to login and make bulk orders easily and efficiently.